How Hard Is That To Believe? An Intel 28 core CPU was shown off at Computex 2018 and later we found out that it was not even a new CPU to start with. It was a Xeon chip that was overclocked to 5 GHz using an industrial chiller. Intel has now confirmed that the spokesperson forgot to mention overclocking in excitement and while this could be true, I am not buying it. This seems to be a very convenient misplacement of words. What was the company excited about that they forgot to mention the overclock? The CPU was not new, the architecture was not new. I get it, if you have a fancy new product to show off then you can be excited when showing it off to the world but this was an old Xeon chip that was overclocked to 5 GHz. It did not do 5 GHz at stock, which would have been something to get excited over. I find it very hard to believe that Intel got excited over nothing. This is complete nonsense. First, they misled the crowd and now they think people are dumb enough to believe this utter rubbish. How foolish do you think we are big Blue? I mean seriously? 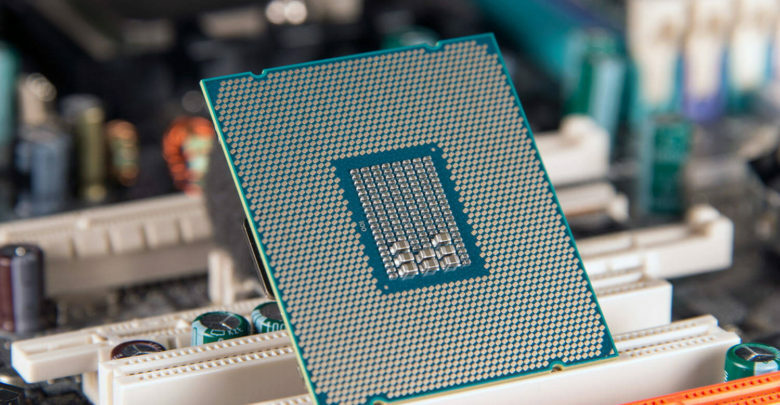 Intel also mentioned that the Intel 28 core CPU was not meant for gamers. Really Intel? What is a gamer going to do with all that power and how the hell are gamers going to power that system? Better yet, how is the average consumer going to keep that chip cool? We already know the chip is not for gamers but there were a couple of hundred people at the even and thousands of people watching live that you misled and thought would never realize what was going on. That is some trickery right there and something that will hurt the RP of the company badly. Right not Intel is just a joke and we can see all kinds of videos and memes being made in order to make Intel the laughing stock of the internet and the hardware space. We have included one such video to give you an example. I have been using Intel CPUs for as long as I can remember but if a company can pull this off then I do not know what else Intel is planning and plotting behind the scenes. I for one an seriously considering getting the new AMD Ryzen 2000 series CPU and I think that there are plenty of others that feel the same way too. Let us know what you think about the Intel 28 core CPU and whether or not you believe that Intel simply forgot.